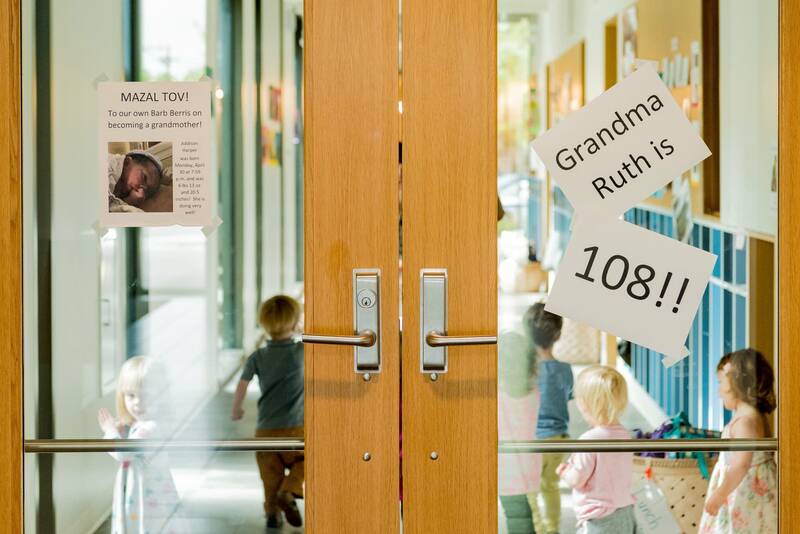 Ruth Knelman celebrated her 108th birthday on Monday, and she knows exactly what you're going to ask her. "(For) my recipe?" she wonders. Well, no. But now we want to know more about that, too — which we'll get back to later. She's famous for her chicken soup and matzoh balls. Actually, we were going to ask her how she still manages to do it all. 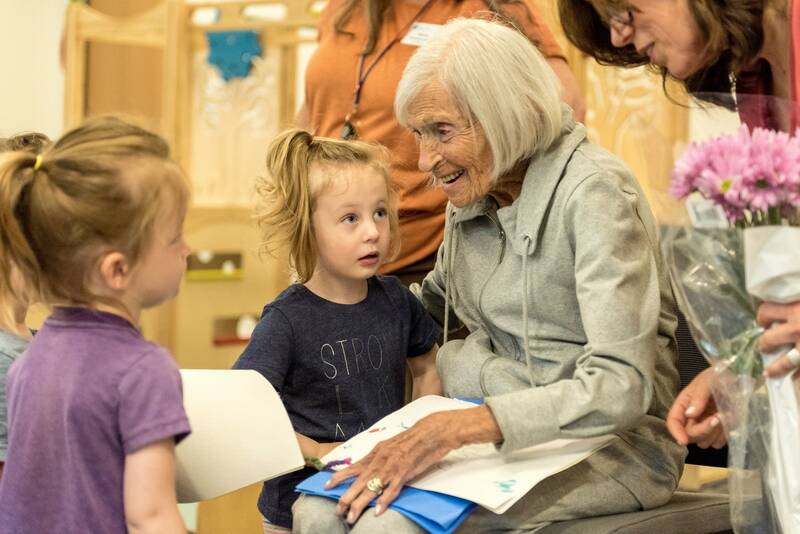 You see, Knelman, or "Grandma Ruth" as she is affectionately known, is a self-described "perpetual volunteer." 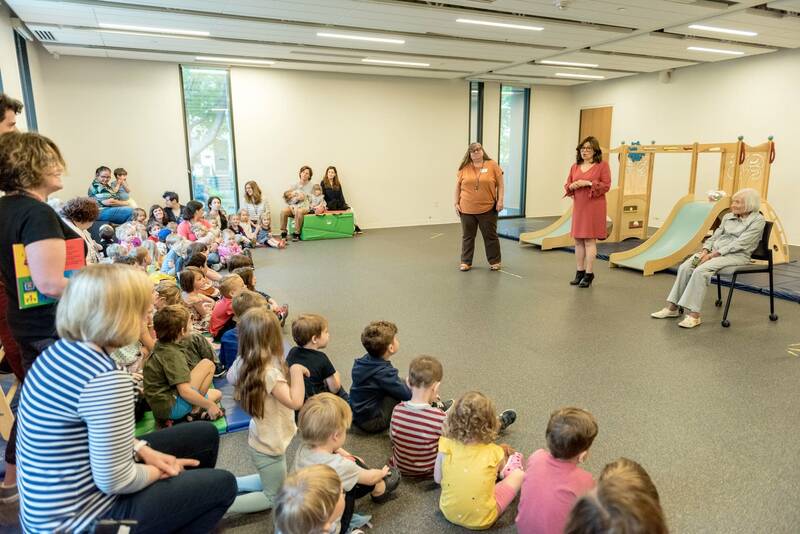 Every Tuesday during the school year between 9:30 a.m. and 11:45 a.m., she heads over to Temple Israel near Lake of the Isles in Minneapolis to read to all seven of the early childhood classes. After she's done there, she makes her way to Jefferson Community School just a few blocks away to volunteer with the kindergarten classes, doing everything from passing out snacks to helping the teachers to reading some more to students. 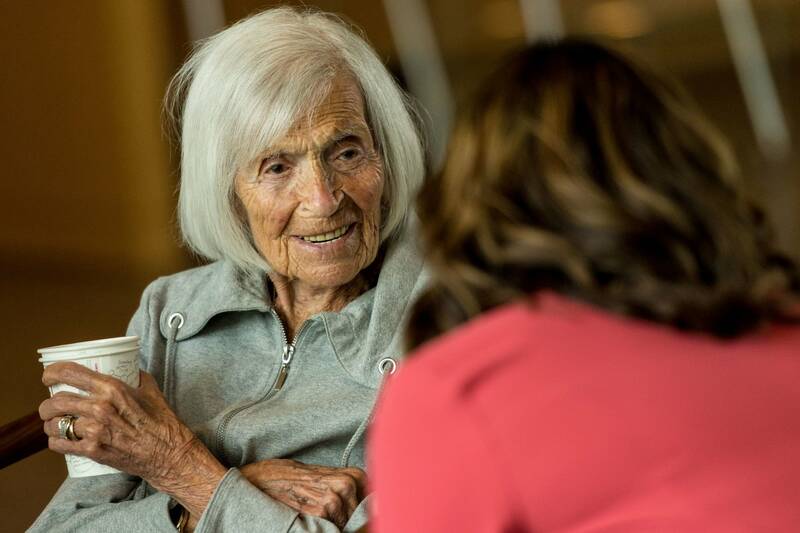 After 30-some years, the centenarian has no plans to stop anytime soon. 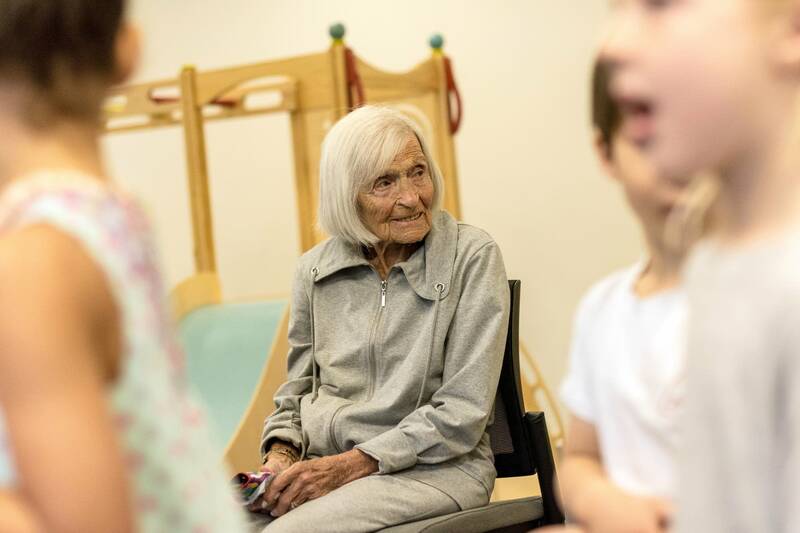 "I have such wonderful memories of all these little kids, my 3-year-olds," she said during a StoryCorps session last fall with Rabbi Marcy Zimmerman, senior rabbi at Temple Israel. "Getting bar and bat mitzvahs and confirmations and weddings. Three-year-olds are getting married now. And I'm still around, I can't believe it." 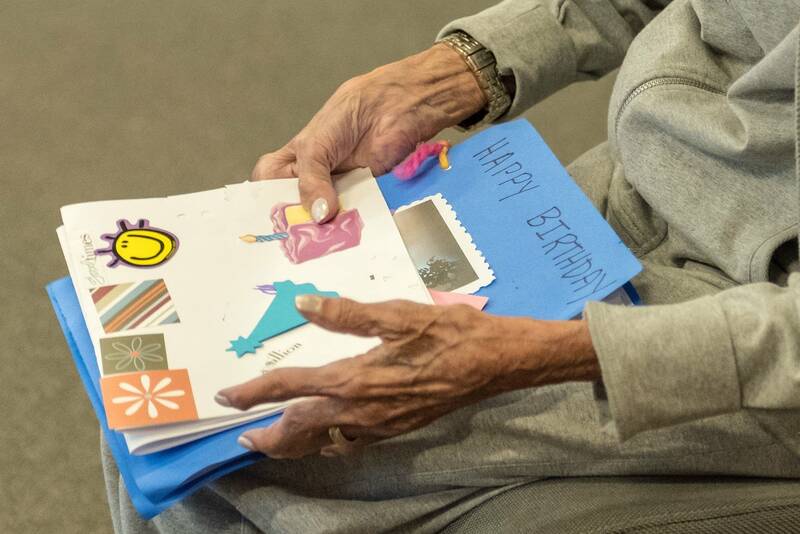 On Tuesday, Temple Israel feted Knelman with a birthday party just before her regular reading sessions. Students from each of the classes showered her with homemade cards and flowers, hugs and kisses before singing "Happy birthday!" to her in Hebrew ("Yom Huledet Sameach"). They followed up with "Shehechiyanu," a prayer of gratitude for special occasions or accomplishments. It fit the day's celebration perfectly. After all, "you only turn 108 once, right?" said Zimmerman. Born in New York on May 21, 1910, Knelman grew up in Canada and moved to Minnesota nearly 65 years ago with her husband and son. Before long, she started volunteering at Temple Israel. When her son was gone playing with other children, she found herself with some free time. "I wanted to do some good," she said. She also began volunteering at the now-closed Mount Sinai hospital in Minneapolis, which eventually led to her gig at Jefferson. The volunteer director's daughter-in-law was a teacher there, and when Knelman found out she said she wanted to give some of her time there, too. 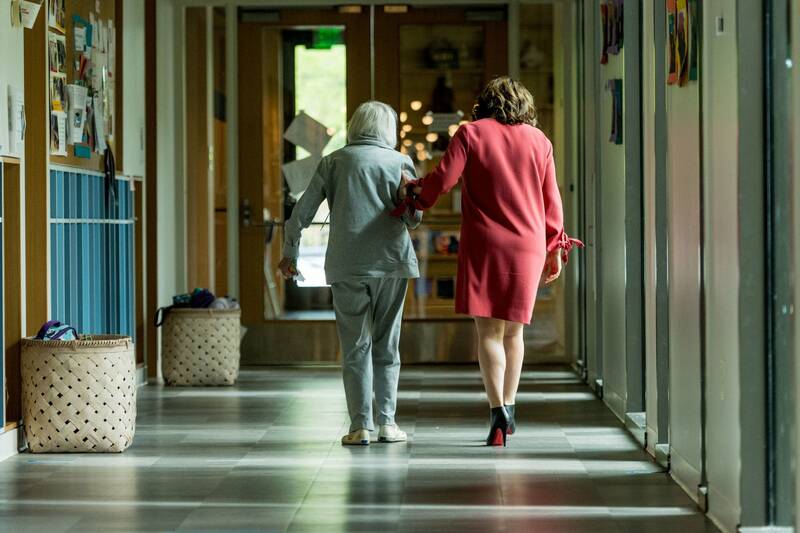 About three years ago, just as she was about to turn 105, she was honored by Minneapolis Public Schools for her three decades of service. Her son, Kip Knelman, said it's just her constitution to be a helper. "She's just always been doing something. And fortunately, she hasn't slowed down that much. She's active and healthy," he said. 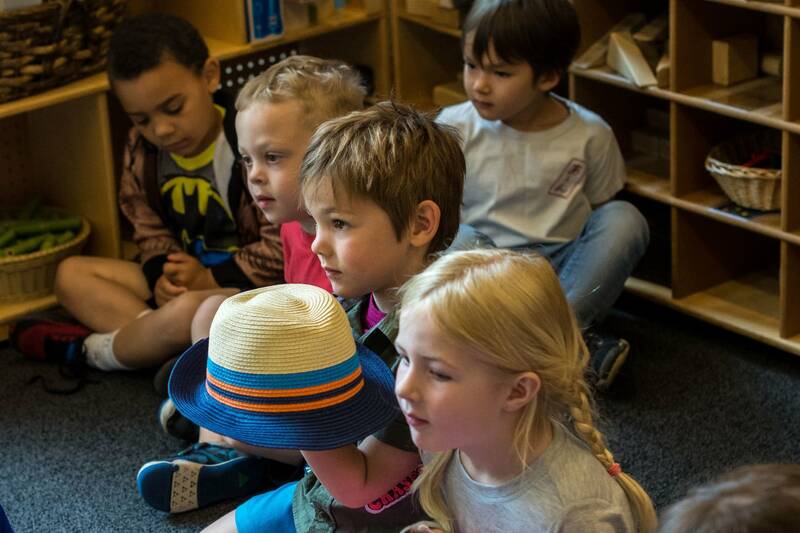 After her birthday party ended at Temple Israel, Knelman got ready to read to the pre-kindergarten students. 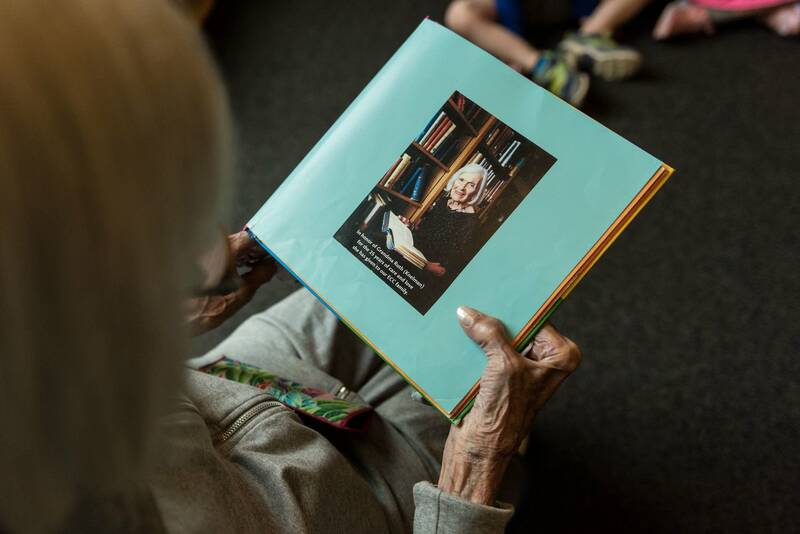 Every class requested "The Grandma Book" by Todd Parr, said a staffer who handed over the book as they made their way to a classroom. About eight years ago, the staff placed a portrait of Knelman in the front of the book in honor of her then-25 years of volunteer service there. She knows the book very well. "I don't need my glasses for this book," she joked. As she read, she provided running commentary. "Some grandmas like to play bingo," she read. "That's me! I love bingo." And this: "All grandmas are happy. That's why I want all of you to be happy. Right?" she asked. Happiness may have something to do with her longevity. That, and "doing everything wrong." Knelman admits to eating a lot of chips — sea salt flavored — and not sleeping much. And exercise? "No way," she said. She used to just walk everywhere — she never had a car and she never drove. These days, she gets a ride to and from Temple Israel. But her real secret to a long life is her philosophy. "You have to be happy. I mean it," she continued. "I've got a lot to be happy about." The school year at Temple Israel ends this week and Knelman will have the summer off from her reading duties. She's already making arrangements for next school year. 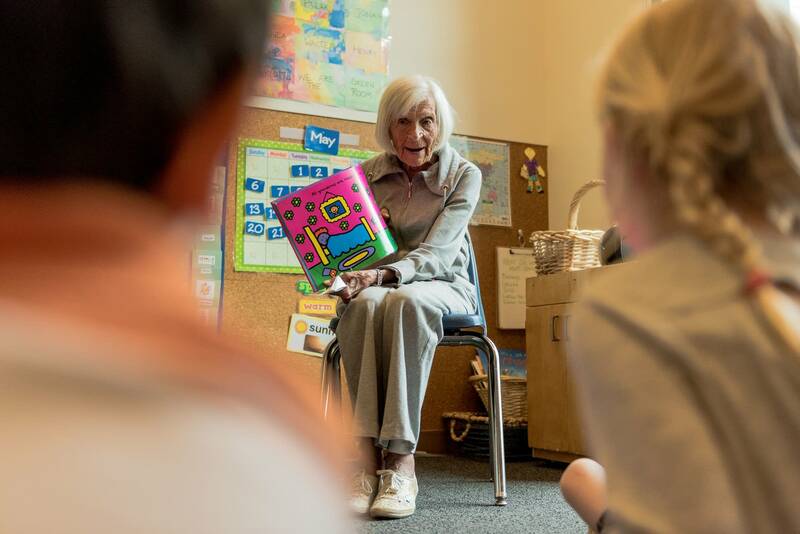 "I'm planning to come back," she told the students during her birthday celebration. "All you kiddies and your parents, I can't thank you enough. I just love being here." You didn't think we forgot about those recipes we mentioned earlier, did you? Ruth Knelman is famous at Temple Israel for her chicken soup and matzoh balls. She's given a lot of cooking classes over the years to share her expertise and her recipes. We asked for them, and now you have them, too, reprinted with permission from Knelman and Temple Israel. Clean the chicken. Put the whole chicken in a full pot of cold water. When water comes to a boil, skim fat out. After skimming, add whole onions, unpeeled and uncut. Add salt and pepper to taste. Add a heaping tablespoon of sugar. Cover pot but leave cover slightly open. Turn flame down and simmer for about an hour. Taste soup before adding carrots and celery. Cook for an additional half-hour. Boil a pot of water almost full to the top. Add salt to water for flavor. Beat the whites into stiff peaks. Add 1/4 teaspoon of pepper and 1/2 teaspoon of salt. Beat the yolks in a separate bowl. Gradually add matzoh meal by folding gently into egg mixture until desired texture (that holds together to form into balls). Make matzoh meal mixture into golf ball-sized balls. Drop each ball into boiling water as they are rolled. Cook matzoh balls over medium flame for about 25 minutes. Cover pot, but leave cover slightly open for steam to escape. To save overnight, place matzoh balls in soup pot in the refrigerator.